Well! 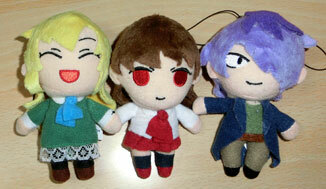 Ib mascot plushies have surfaced. Not yet for sale, but they're going to be at Taito Station. They're to be prizes (like at an arcade). They're arriving on January 26th. 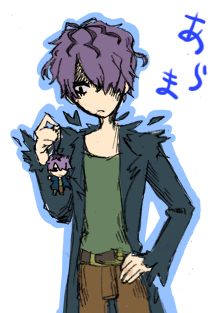 The plushies look like this. They're so cute... Roughly 11 centimeters big. I love plushies, so I'm very pleased. Ib carries a slight gloominess, Garry has eyelashes like he needs to, and Mary looks to be having the time of her life. I'm satisfied, that's for sure. Claw machines are always fun, since you put in your own work to get the prize. And while I bring up claw machines, I apologize if the plushies aren't actually claw machine prizes. At any rate, if you're interested, test your skill and might! It's not a starfish! It's hair!